Irrespective of the kind of service that you are choosing, it can be quite difficult choosing a good service provider. 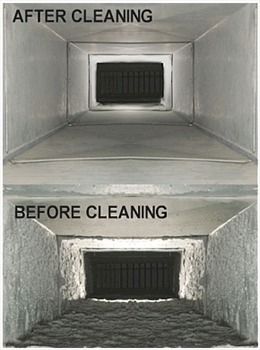 Same is the case with duct cleaning companies as well. It is true that duct cleaning is an important aspect but the challenge is to find out the right kind of duct cleaning company. This is because there are many companies who might end up duping you and the end result is neither your ducts are cleaned properly nor can you save on unnecessary spending for duct cleaning. Thus, it is important that certain aspects are considered before finalizing on a duct cleaning company. First of all you will have to short list a few companies when you want the duct of your home to be cleaned. Once the short listing is done, the next step involves finalizing on a particular company. You can start by comparing the prices offered by each of the service providers. You may think that the prices offered by all the service providers will be the same but that is not the case. Some of them quote a cheaper price, some higher, and others quote an average price. It is natural that you will feel attracted towards the lower price that is quoted. But do not fall into the trap. It may so happen that with a cheaper price you get a shoddy service. Hence, the best option would be to check out the online reviews and consumer reports to know about the quality of services offered by the ones quoting a low price. Once you have finalized on the company you need to ask them more about the process that they will adopt to clean the ducts of your home. Mostly, the ducts are cleaned with a combination of different methods. However, the most effective method is the “source remove” duct cleaning for the entire HVAC unit of your home. In this method a high-powered vacuum is used to remove the debris and it is collected into a safe containment device. It is also recommended that the company you are choosing ought to have recommendations from your friends and family so that you are sure about the quality of service they provide. The chemicals that are used in the cleaning process must be EPA registered and the method that is put to use for the cleaning of the ducts must be as per the standards of NADCA. You must keep in mind that it is a good idea to ask the duct cleaner the time they will be taking for the completion of the job and whether they will give you any warranty of the service they provide. 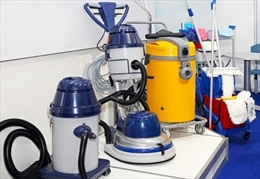 The technicians who will be carrying out the cleaning job at your home must have all the necessary business and professional licenses to carry out the job. Last but not the least, when selecting a duct cleaning company you must choose a reputed one and someone who has been into the business for quite some time now and knows the technical aspects of duct cleaning very well.